Not sure how to price your items? Sellers that price reasonably and allow items to be discounted on half-price day generally sell a high percentage of their items. There is no limit on how many total items you can bring to the sale as long as they all meet our quality standards. All sellers must bring at least 30 acceptable items. 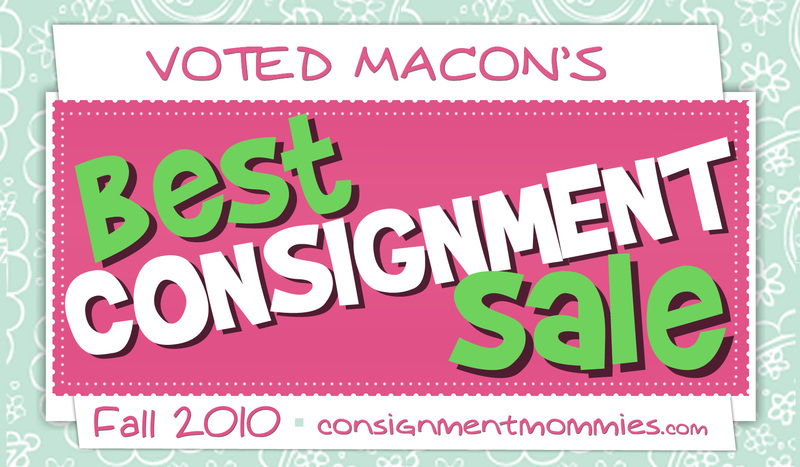 (Every item will be inspected!) 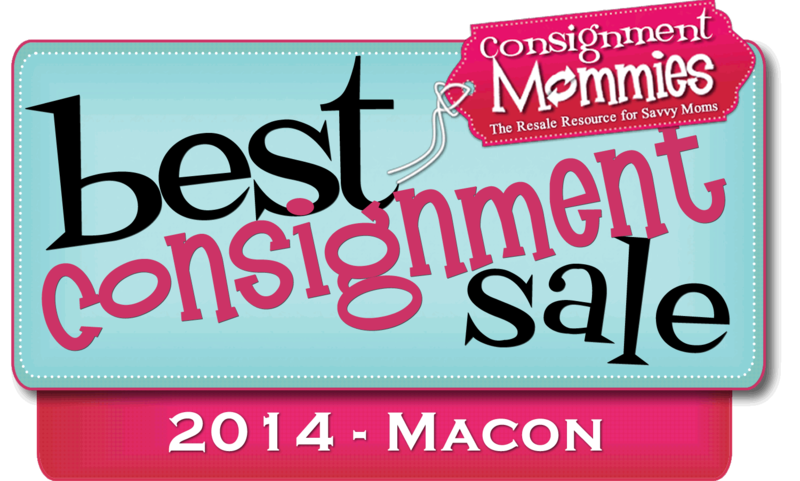 *For every 300 items you bring you must have a separate drop-off appointment (and paid an additional seller fee). EX: 900 items requires 3 drop-off appointments. Our website allows you to enter your items on a computer. Each item's tag will print out with a barcode. This is allows you to check your sold items during the sale! Now it's time to tag those items! Gather your clothing in a neat pile next to your computer. Sort your items by Gender and Size before you sit down to enter them online. The system remembers all previous information entered except price, so by having them sorted you can take advantage of the pre-filled fields and re-enter only price and description fields. This will make your tag time even more efficient! There are two description lines on each tag. Type the Brand in the first field and then the type of item in the second field. For example: "Children's Place" in first field, "Pink Chevron Dress” in second field. Make sure your tags are printed on WHITE cardstock paper. We will not accept colored paper or regular copy paper. Use Normal or Draft print setting. Do not use "Best Quality" setting. This setting will be too dark. Be sure to do a test print page before printing all your tags! If you select to DISCOUNT an item the tag will print with REDUCE. If you select to DONATE the tag will have a BLACK DOT. Any tags that are handwritten or have been written on will be rejected. 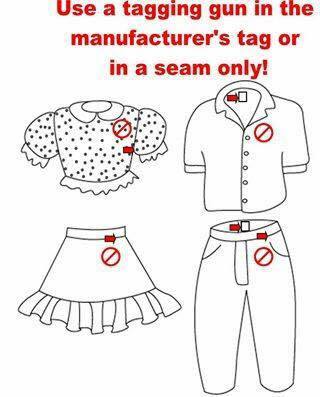 You may use either a tagging gun or safety pins to secure your tags on clothing. We accept children's clothing in sizes newborn to size 20 for boys & 16 for girls & Maternity. When attaching tags (if using a tagging gun), please attach tags to the seam under the left arm (right as you look at garment). The hanger hook should face the left (like a ?). When using SAFETY PINS tags are to be pinned on the left chest OR to the seam under the left arm of each clothing item. When you are facing the item, it will be on your right. If you need to tape your tag to non-clothing items, tape only above the cut line. Do not tape over the BAR code. DO NOT PLACE SHOES IN PLASTIC BAGS!!!!! For single pieces, place them in a Ziploc bag with the tag taped to the outside. For smaller items like baby bottles, rattles, socks, bibs, bows, etc, please group them together in Ziploc bags. Use ziplock bags to attach small items to larger items. Make sure games & puzzles had all included pieces & instructions. Puzzles and small toys that are not in boxes should be put in Ziploc bags. Wrap puzzles in clear saran wrap & tape the tag to the outside. We do not accept car seats older than 5 years. Visit the Consumer Product Safety Commission at www.cpsc.gov or call 1-800-638-2772 for recall information. Furniture always sells well! Don't forget those cribs, youth beds, dressers, changing tables, high chairs, kitchen sets, swings, and Little Tikes equipment. Place the tag to an easy-to-read location. *We can not accept ANY drop-side cribs! Important: Put masking tape with your consignor number on every large item and on any items that contain one piece or more. Get ready for our next sale! As your child outgrows clothing wash it, tag it, and hang it. This will make preparation a breeze for our next sale! Remember: Be picky. Our customers will be! Ready to start tagging? Click HERE!